The Unemployment Olympics are under way now in Tompkins Square Park. Hard to say whether there are more contestants (athletes?) or reporters on the scene. After waiting in line to sign up, you waited in line to take part in the first activity of the day, Pin the Blame on the Boss. Organizer Nick Goddard had to ask the assembled reporters to move back several times...the media kept inching closer to the Pin the Tail sign, and there wasn't enough room for the participants to spin and pin. There are other activities planned, including the Fax Machine Toss (which looks suspiciously like a phone), the You're Fired Race and a stress-relieving piñata. All of this got old pretty quickly. The reporters got their cutesy, "aw, we're-having-fun-in the-recession!" soft news bit and started to leave. Curiosity seekers had time to gawk. Will the Colonel's legacy be remembered in NYC potholes? LOUISVILLE, KY – For more than half a century, KFC has “filled up” its fans with the Colonel’s world famous, freshly prepared fried chicken. Today, in a marketing first, KFC is celebrating its continued dedication to freshness by launching a pilot infrastructure renewal program, becoming the first-ever corporate sponsor of “fresh”ly “filled up” potholes in up to five major cities across the U.S. 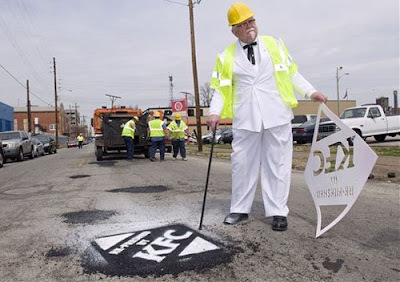 The KFC Colonel and his professional road repair crew got started in their hometown of Louisville by filling up potholes and re-freshing roads around the city. KFC also issued an open offer to mayors of cities nationwide, asking them to describe their city streets’ state of disrepair. Four of these lucky cities, chosen at random, will receive KFC’s road re-“fresh”ment, promising citizens a smooth drive that is fit for a Colonel. In today’s troubled economy, cities across the nation are left with potholes in desperate need of repair. It is estimated that U.S. roads are riddled with more than 350 million potholes nationwide -- that’s one mini canyon for every man, woman and child in America. “This program is a perfect example of that rare and optimal occurrence when a company can creatively market itself and help local governments and everyday Americans across the country,” said Javier Benito, executive vice president of marketing and food innovation for KFC. "In the biggest jump in a single month on record, New York City’s unemployment rate leapt to 8.1 percent from 6.9 percent in February, the State Labor Department reported on Thursday. That rate matched the national unemployment rate for the month and reflected an unprecedented one-year rise from 4.4 percent a year earlier. The rapid deterioration of the city’s job market has erased the notion that the region could be insulated from the wave of job losses sweeping across America. All told, there were about 335,000 unemployed people in the city, a number reached only once — briefly — in more than a decade. It is almost double the 175,000 city residents who were unemployed a year ago. Over the same period, the number of private-sector jobs in the city has dropped by almost 77,000, to 3.13 million, the report showed." Today at 1:30 Tompkins Square Park hosts the Unemployment Olympics, which includes events such as Pin the Blame on the Bosses and the Fax Machine Toss. Hmm, OK. The organizers seem to have good intentions here. Still, I'm not a big fan of "hey, it's a recession, let's have some fun"-type events and stories. And the Olympics seem a little -- this will get me in trouble with the EV Grieve HR Department -- youthful. And collegiate. And! 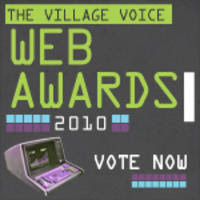 It seems to weigh heavily toward the white collar, 9-to-5 crowd. I know too many people -- particularly in the food-service industry and construction (the off-the-books types) -- who are reeling from the economy. I don't think they'll be in the mood to throw a fax machine. Actually, everyone I know is suffering in some way. 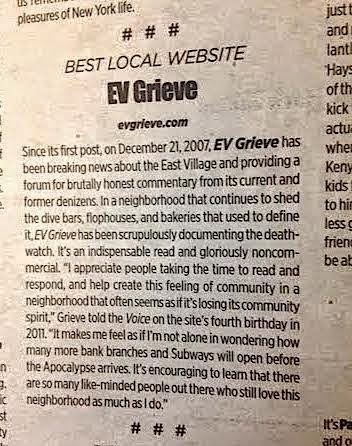 If these people I know didn't get laid off (such as someone in the EV Grieve household), their salary was cut. Or their hours/shifts/benefits were cut. You've all heard the horror stories. In any event, throughout all this, I continue to see more and more fliers go up around the neighborhood in which people -- looking to supplement their incomes -- are offering their professional services. I appreciate the entrepreneurial spirit. At one point, I started noting all the different services that I saw being offered. But it just got to be too many. Yoga and pilates instruction. Personal trainer. Dog walker. Carpenter. Tax preparation. Photography. Break dancing(!). 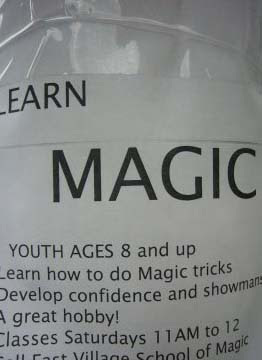 Magic. Apartment cleaning. Language lessons. Guitar lessons. (Mrs. Grieve swears that she saw an ad for Guitar Hero instructions.) Drum lessons. Piano lessons. Moving men with vans. Flier distribution. Home theater installation. Bicycle messenger. Personal safety. Gardening. Personal attendant. Etc., etc. I could use some shelves in the apartment. And I'd like to improve my Spanish. And maybe learn to play the guitar. Of course, I can't afford it now. 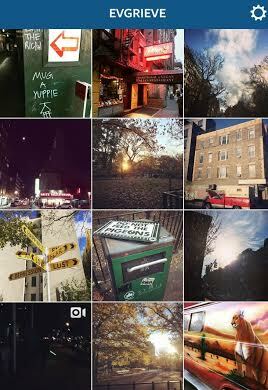 "Question about the East Village"
I always stay in the LES, or south of Houston in a favorite dirty little hotel (recently cleaned up), and it just seems like all the "fun" of visiting/living in the LES is gone. Not trying to spark a discussion of why/how this energy is gone (forever?) but rather asking where it can be found in greater NYC area.... or even anywhere in the US?! 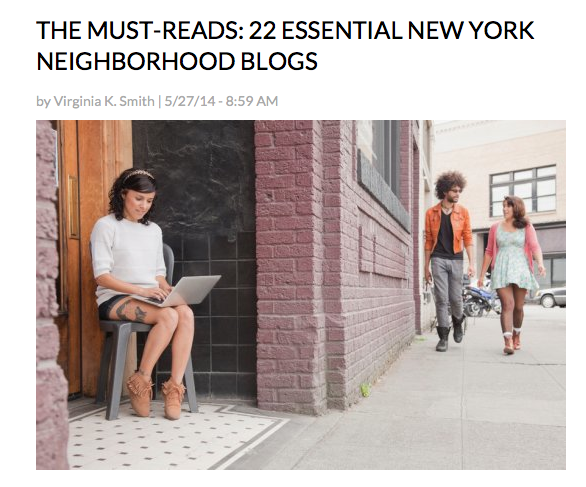 LA, Chicago, NYC, even Baltimore's old dirty grimey neighborhoods seem to be lost to the yuppies for good. 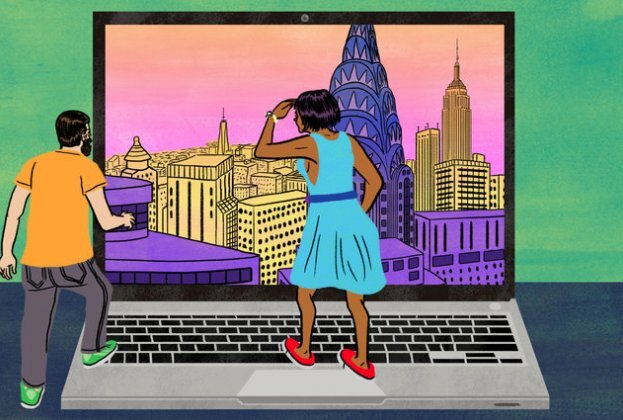 Where are the new diverse cultural neighborhoods (is there such a thing as neighborhoods anymore?) in NYC, or even elsewhere in the US?! Just a rant I suppose, but comment as you will. On East Seventh Street and Second Avenue. The pigeons like to roost on the fire escape above the Franklin Check Cashing Store on Avenue B near 14th Street. Spotted at the corner of Clinton and Stanton in the LES. 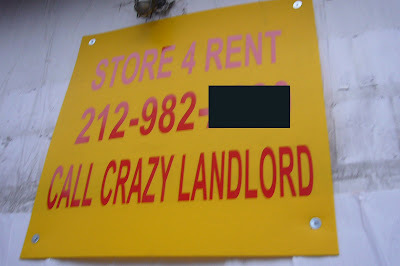 I noticed the "Store For Rent" signs hanging on Urban Lobster on Houston near Avenue A last week...I called and asked the counter person what was up. 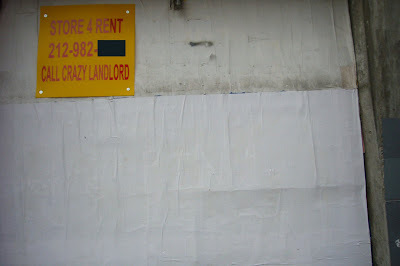 I was told the signs were for another property the landlord had. Hmm-mmm. 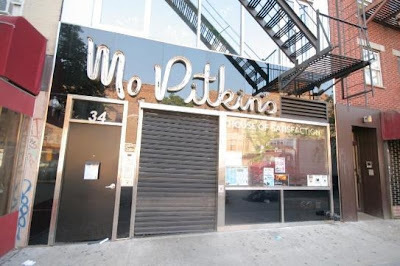 Yesterday afternoon, Gothamist confirmed that the location is closing today. Received the New York Yankees Ticket Information & Fan Guide 2009 yesterday in the mail. (And why me?) It's a slick, 82-page booklet that probably cost the combined salaries of Brett Gardner and Melky Cabrera to produce. I'm sure it's full of amusing reading. 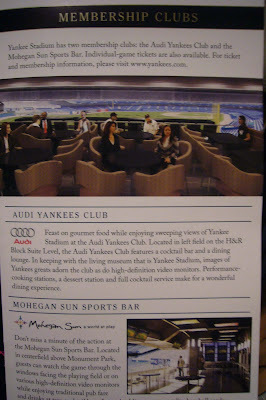 But I haven't still haven't gotten past the first page I opened to -- Page 35, which discusses the team's new Membership Clubs, Audi Yankees Club and the Mohegan Sun Sports Bar. 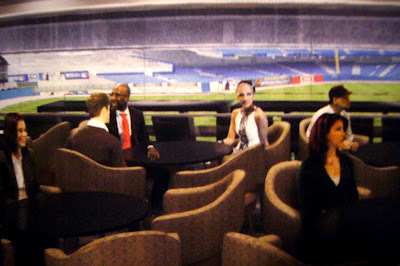 I particularly like the half-assed Edward Hopper attempt in depicting the Audi Yankees Club. What a random group of people. No drinks. No food. No crowd. No game. Fun! In a smoke-choked Manhattan tavern, Cynthia Candiotti asked a neighbor for a light and took a deep drag on her cigarette, savoring a last barstool puff before the city outlawed smoking in bars and nightclubs. For Candiotti, 26, the ban is a double whammy: "I can't tell you how many dates with cute guys I've gotten by looking into his eyes while he lights me up. That's as good as smoking." With fear, loathing and lament, the city of Frank Sinatra, Humphrey Bogart and Philip Morris USA was ushering in the smoke-free age Sunday, one tick after midnight. Goodbye to the cloying smell of cloves. The wispy white rings that settle into a layer of haze at bars, pubs and nightclubs. The smoker's hack and smelly clothes after a night out, whether you smoked or not. The phone number written on a matchbook cover. 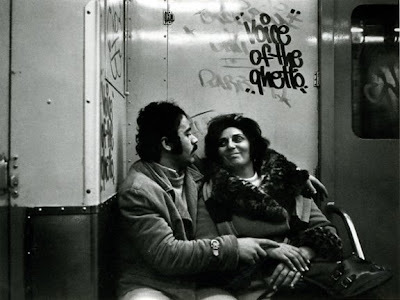 "First they cleaned up Times Square, then they said you couldn't dance in bars or drink a beer in the park. Now you can't even smoke when you go out on the town," said Willie Martinez, 37, who sat, chain-smoking, in an East Village bar. "This is like no-fun city." ...the likes of which we can't recall having ever seen... is this creative real-estate marketing or the work of a prankster? Or both! Spotted on 514-516 E. Sixth St. ... and the building behind on 515 E. Fifth St.
Click to enlarge, of course. The Board of Standards and Appeals ruled at the end of last month that the Department of Buildings was wrong to issue permits to add two extra floors to two East Village tenements. The B.S.A. ruled that the additions to the five-story buildings at 515 E. Fifth St. and 514-516 E. Sixth St. violated the state’s 1929 Multiple Dwelling Law in regard to fire safety and elevator requirements. Will Arthur "the Fonz" Fonzarelli approve? And didn't Mr. C run a hardware store? As it has been reported, the former BAMN! 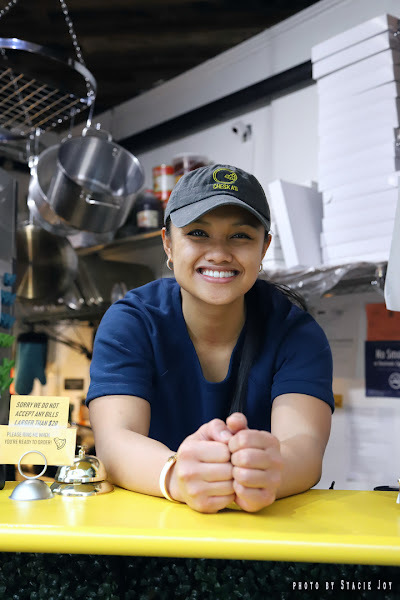 automat on St. Mark's Place near Second Avenue is becoming the second Vietnamese sandwich shop for Baoguette. Anyway. The signs for the new place are now live. How long will the bagels remain in the window? So, with this, we're back up to 22 empty storefronts on Avenue B. Does Duff have junk in the trunk? Isn't this a No Porking Zone? Does this mean there will always be a line?